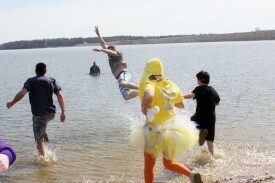 At the Carlyle Lake Polar Plunge on Feb. 22, among the 413 plungers was St. Louis Rams Pro Bowler Johnny Hekker. 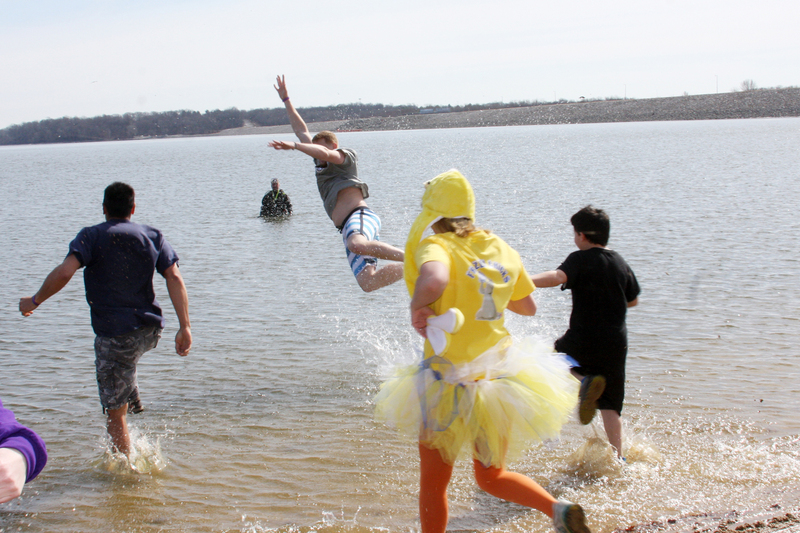 Hekker led the charge into the frigid waters alongside 17 members of Team Johnny Hekker. 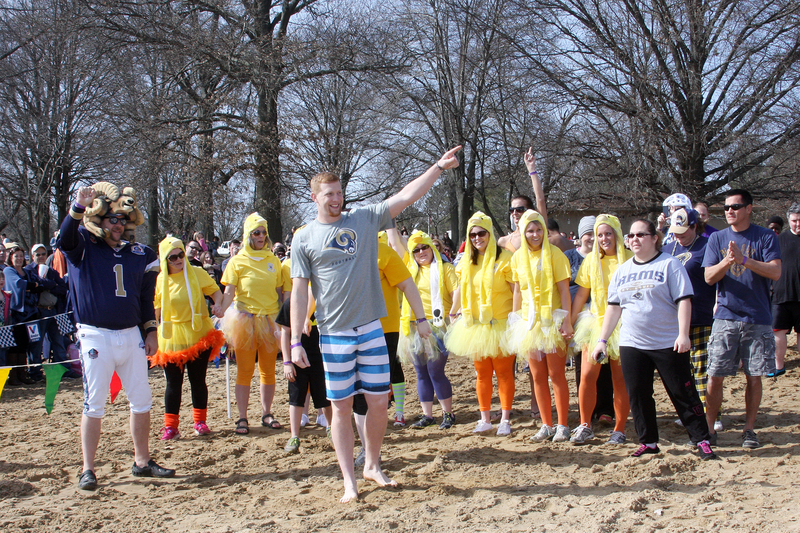 Combined, Team Johnny Hekker raised $5,290 for the athletes of Special Olympics Illinois. The St. Louis Rams awarded top team fundraiser Sara Holtgrave with four pre-game field passes and tickets to a 2014 St. Louis Rams Game. 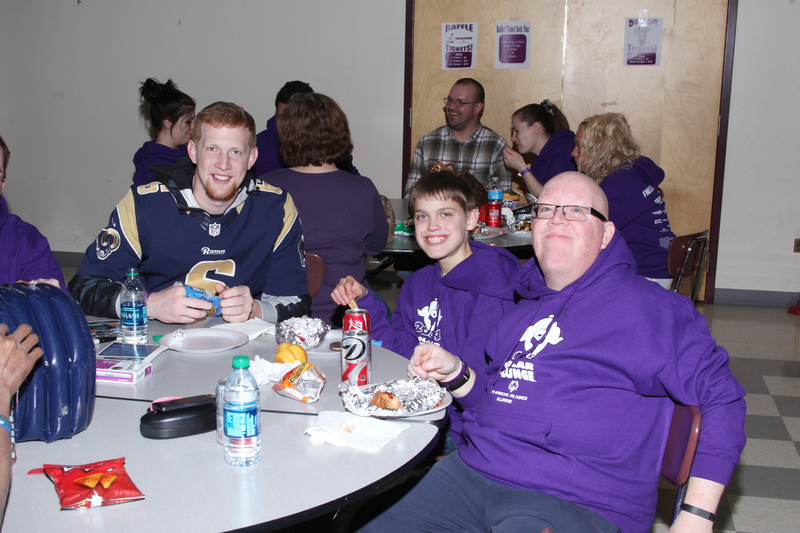 At the post-Plunge party, Hekker signed autographs and hung out with the athletes, then helped present awards to the top fundraisers of the day. Earlier in February, Hekker joined with Special Olympics athlete Alex Huegen of Clinton County to record a R-Word video urging people to stop using the words “retard” and “retarded.” View PSA below.